The Chronicles of Cardigan: Take the Quiz! : What Do Rudolph (the RNRD) and Jon Farleigh Have in Common? Take the Quiz! : What Do Rudolph (the RNRD) and Jon Farleigh Have in Common? What do Rudolph (the Red-Nosed Reindeer) and Jon Farleigh have in common? Take this short (5-question) quiz and find out! Click this button to start! P.S. Happy 3rd birthday to my precious "Baby New Year," Jon Farleigh, and his beautiful littermates, Georgia, Bridget, Lily, FlipFlop and Luke! P.P.S. Happy New Year, friends!!! Here's to a really SHINY one! 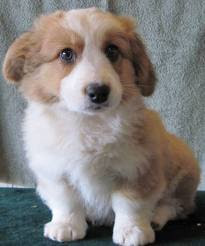 I never get tired of that sadpuppy picture of JF. We hope 2013 is a good one for you and the year is filled with joy and fun. Please... more JF (and Dewi) puppy pictures this year... please! Happy (late) Birthday to the adorable Jon Farleigh! Have I ever mentioned how cool his name is? I love saying it, lol. Happy birthday, Jon Farleigh! And Happy New Year to your family and friends. 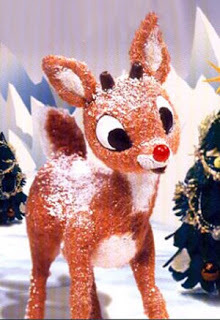 I scored low because I just could not compare you to Rudolph. You are way more awesome! Happy New Year and Happy Bday John Farliegh!! !